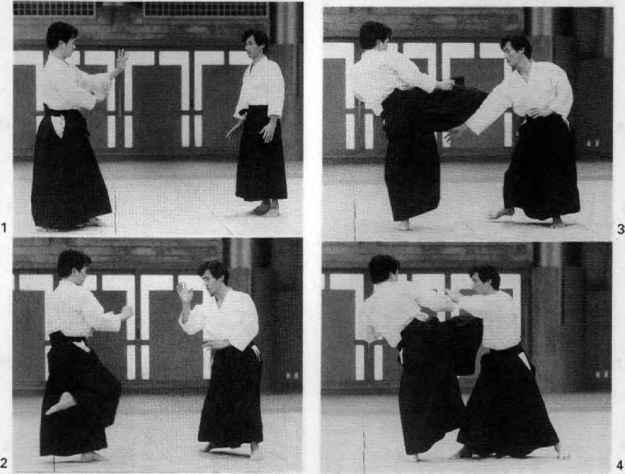 Uke delivers a kick to torfs stomach with his right leg. 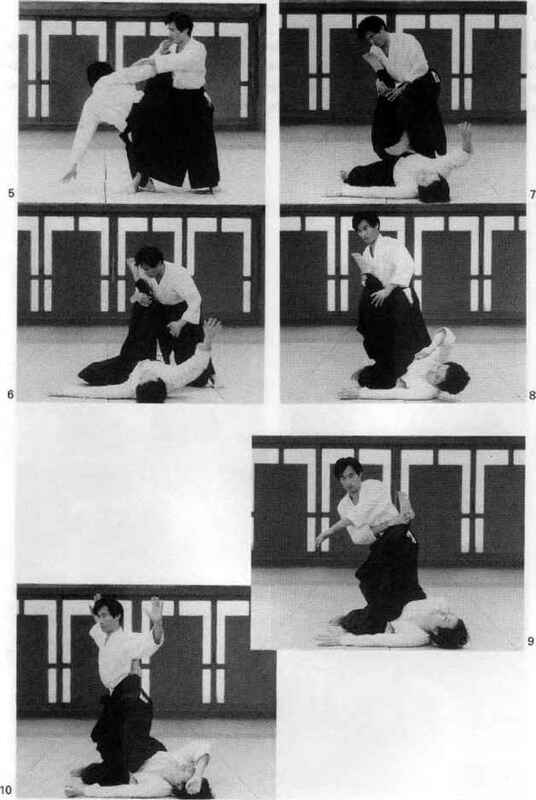 Tori steps out on his right leg to uke s right side and catches the attacking leg from below with a counterclockwise motion of his right hand-sword. 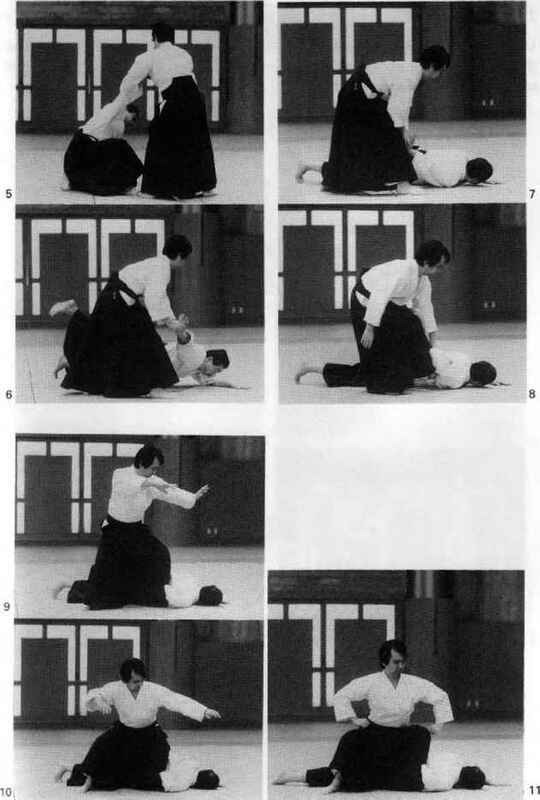 Tori then pins uke's leg against his right shoulder, holds uke's right elbow with his left hand, and takes a large step in with his right leg to bring wire down to the ground. 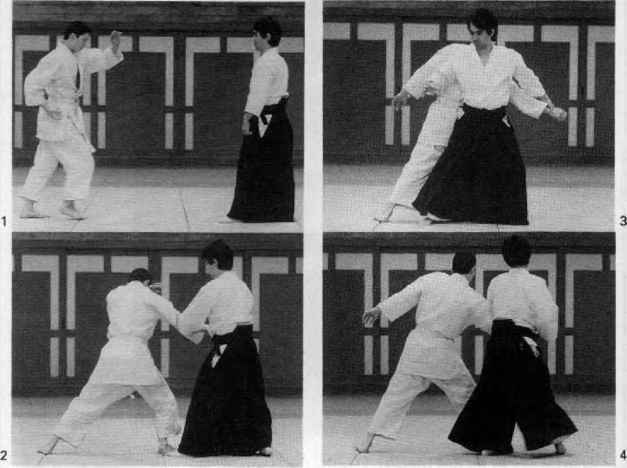 Tori swings his left leg in over uke's right leg, plants his foot firmly on the ground, and uses his arms to twist wA'e's leg in the opposite direction to effect the pin. 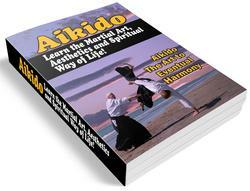 Uke grabs tons left wrist with his right hand. 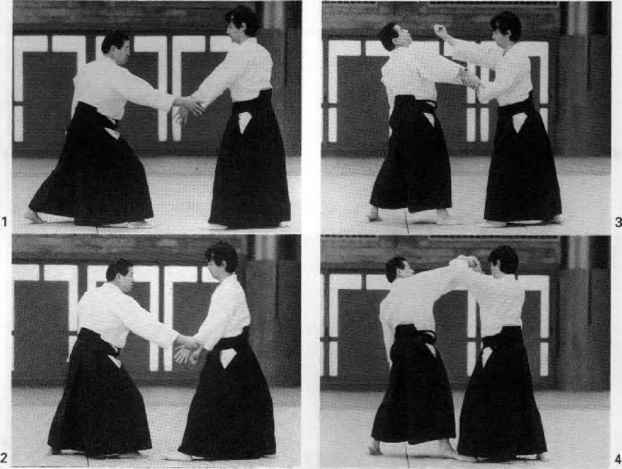 Tori slides forward on his front foot while delivering atemi to uke's face, and rotates his left hand to apply a nika-jd lock to uke's right wrist. Tori then brings uke facedown to the ground, pins ute's right arm with his left knee, and completes the pin by sitting on uke's back.